Canada Drives — which aims to help Canadians get car loans regardless of previous credit history and match up dealers and consumers — has been growing at a rapid pace since its launch in 2010, and the company has high hopes for 2016, as well. In fact, the company plans to double both its dealer partners and employees by the end of next year. Cody Green, founder and co-CEO of Canada Drives, explained that much of this growth is due to the fact there is a growing demand for lenders to better identify people who should be eligible for financing, but aren’t being offered any options. “Data will drive the growing availability of these programs in the coming years, and Canada Drives will ensure that every Canadian has easy access to them,” Green added. Let’s take a look at what the new finance player has been up to over the past five years. Canada Drives, headquartered in Vancouver, British Columbia, employs over 100 people. Over the past year, the company originated over $7.2 billion in auto loan applications for its dealer partners, which resulted in over $1.1 billion in funded auto loans. 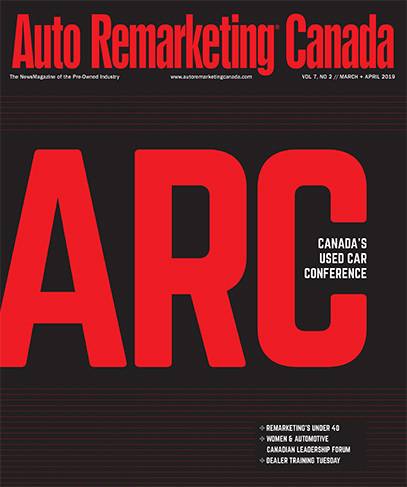 Canada Drives works to alleviate one of the biggest pain-points in car shopping at dealerships: credit approval. Most buyers finance their vehicles, and these days, most people browse through vehicle inventory online before trekking into the dealership. But Cody Green, founder and co-CEO of Canada Drives, said customers previously didn’t have many options to check out financing offers. “It quickly became apparent that there was a huge demand for Canadians to be able to get their financing options from the comfort of their home at the beginning of the car buying process,” Green said, a need which spurred the development of Canada Drives. The company aims to “improve the entire customer lifecycle,” company management shared; from simplifying the auto loan application process to closing the sale, as well as maintaining ongoing relationships with its customers. When going through the loan application process, shoppers are asked to mention what type of truck or car they are looking for. Then, a member of the Canada Drives’ team will match that shopper with a dealer that can meet his or her financing and vehicle needs. The company’s dealer partners, which now stand at 300, must pass extensive screening to become a certified dealer partner. There are four core elements required to become a Canada Drives Certified Dealer Partner, Green shared, as follows. The dealership must be licenced and in good standing with their local governing body. The dealership must maintain excellent relationships with a full spectrum of lenders, ranging from major banks with extremely low interest rate options to non-prime lenders that have easier approval guidelines. The dealership must have highly trained staff dedicated to working with Canada Drives’ customers to maintain our high standards of customer service. The dealership must have a large enough inventory to offer maximum choice for consumers based on lenders’ approval guidelines. This allows customers to have access to cars, trucks, SUVs and minivans from both domestic and import manufacturers. “These are in place to ensure the best experience for the customer, as well as to ensure that dealerships have the best chance of long-term success,” Green added. The company’s partners range from large dealer groups with hundreds of staff in major urban centres, to single point independent dealers with only a few people located in extremely rural areas. In 2016, Green shared the company is expanding its network of dealer partners from 300 to over 600 to allow for the increase in consumer demand as well as to better serve smaller markets. The company also expects its staff to more than double in size to over 250 by the end of next year. Green said the company plans on becoming even more involved in supporting their dealer partners wherever possible. One of the ways Canada Drive aims to do this is by hosting a non-prime dealer conference in Canada at the company’s new headquarters in Vancouver. The event will be “aimed at helping our most successful partners share strategies and allowing us to gain even more insight into areas we can create long term value,” Green said. The conference is designed to provide a closed setting for industry leaders in the non-prime space to discuss strategies and highlight areas for improving financial results.